He got me through some bad days with his up bring in music. May you rest easy my friend. Hallo Tim! jedes mal wen ich an meinem Musikprogramm (Fl Studio) sitze, dann denke ich an dich! Ich frag mich warum die Leute die du um dich herum hattest nie bemerkt haben wie es dir eigentlich geht und wie es soweit kommen musste. Man muss sich doch nur True Stories anschauen dan sieht man es! Ich denke du warst ein Mensch mit einem grossem Herz. Das hat man gespürt! Danke für deine tolle Musik. Ich liebe sie! Und höre sie jeden Tag. RIP Tim. Ich bete für dich! Miss you like the first day you went away. Rest in peace Tim, your music has helped me get through tough times right now. Thank you 🙏. I hope you have found a safe place where you can truly rest in peace. avicii was a good friend of mine. You helped many people with your music and left big marks on the world. Thanks for that. We miss and love you. A legend never die! Rest in peace Tim. Det har snart gått ett år sedan du försvann, jag spelar fortfarande dina låtar ofta. En musikskapare som du, det kommer vi aldrig att få igen. Du skapade musik som ingen annan någonsin vågade göra, vågade sticka ut, vågade prova något annat. Du kommer aldrig att lämna mig, jag kommer att spela dina låtar i all evighet. Du gör himlen bättre, synd att du inte stannade kvar hos oss längre och övervann din ondska inom dig. Jag avundas lite dom som får vara med dig just nu. Mungu akulinde huko uliko Avicii, miziki yako ilifurahisha wengi...na ilisaidia wengi wawe na nguvu kwenye maisha haya ambayo ni magumu. Nilivyosikia kuwa umekufa, sikuamini...nilidhani ilikuwa ni utani. Sikufuatilia miziki yako asilimia 100, lakini nilikuwa nataka kwenda TomorrowLand kusikiliza "Levels" na "Hey Brother" . Natumaini siku tutakutana. Usiache kupiga miziki huko ulipo, kwa sababu nikifika lazima nisikilize na niruke nawe, sio kulala tu. Pumzika kwa amani kaka. I remeber when i was a kid, well im still a kid. Im 14 years old. I remember when i was like maybe between 6-8 years old i started to get interested in music and i heard levels. And i just fell in love with the song and judt listens to it over and over again. After a few years i learned english and started finding other songs and listened to them too and i just become a fan of Avicii. Ive listened to his music half my life. He meant much. Rest Easy man. Hope you’ve found peace. Vila i frid Tim. Avicii wow hiciste algo que ninguno de tus fans vamos a olvidar cuando escuche tu noticia me senti destrozada mi muro de alegria se rompio por completo ese dia mi vida se torno gris y oscura pero aun te sigo y seguire escuchandote cada vez que escucho without you y wake me up me dan ganas de llorar pero las leyenda nunca mueren pero yo se que tu desde ese cielo donde tu estas nos estas viendo ojala y estuvieras aqui con todos tus fans. 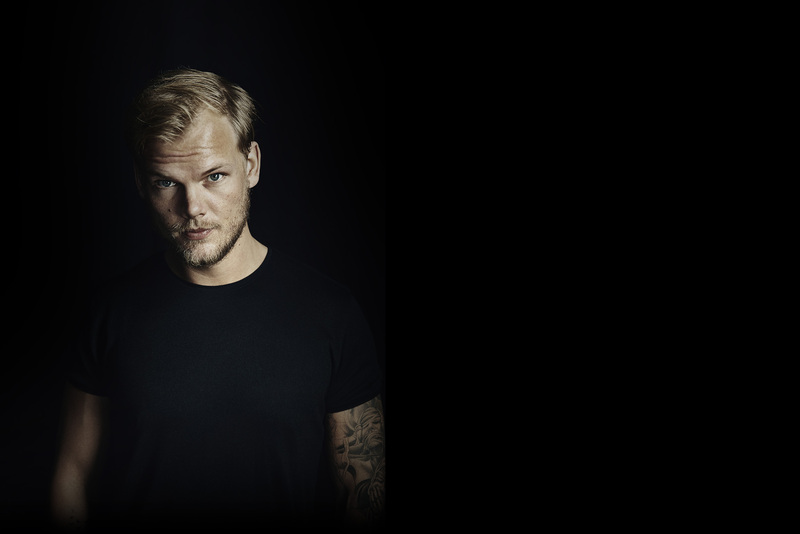 Rip avicii legends never die 1989-2018 te amamos. we miss you avicii. if you can, please, come back. 'Legends never die' You have changed everyones lives and we will always miss you. It was the night between last day of July and 1st of August 2015 - UNTOLD Festival, Romania. AVICII was on stage and said to the public: I wish you could see what I see. And that was the night he made me feel ALIVE! More alive than ever! This is how I will always remember him. Today, he is still making all of us feel alive with his forever living songs! We miss you so much man. Rest easy. Your music lives on forever. I love you I'll see you soon. You were a damn giant Legend in the dance music scene, thanks for blessing my timeline with your existence and your music Production. Rest in peace Tim, you'll always have a special place in my heart. Release "Heaven" in 2019 please!!! We are love you R.I.P Tim Bergling Avicii. Recuerdo la primera canción que escuche, parece que ayer Levels entro a mi, fue un mundo diferente a lo que siempre había escuchado, The Nights, The Days, Waiting For Love, Wake Me Up, You Make Me, entre muchas otras más llegaron poco a poco. He llorado, he saltado de alegría cada vez que las escucho. Hacen que me sienta mejor cuando estoy triste, me alegra más el día cuando estoy feliz, descansa en paz, y como tu escribiste, seras recordado por lo que viviste no por el dinero que hiciste. Your music has changed my life. Thank you! Tu música y tu melodía siempre nos acompañaran. Es tud mir leid um dich Tim, um dich als Person. Du warst ein Ausnahmenkünstler - ohne Frage - aber darum geht es mir nicht. Deine Familie und deine Freunde haben einen so tollen Menschen verloren und du hast darüber entschieden dass dich deine Nächsten verlieren, weil du verloren warst? Warst du verloren in dieser Musik Maschinerie? wenn ja, das kann ich sehr gut verstehen - in diesem Fall, hätte ich mir gewünscht dass du nie so berühmt wirst, aber dafür noch glücklich auf der Welt wärst. RIP.. Tack för låtarna som fyllde hjärtat med lycka, eufori, kärlek och ren glädje. Du gav ordet musik en helt annan innebörd. Det märktes att det låg en känsla, en tanke och jävla massa hjärnkapacitet bakom varje ton. En producent av din kaliber kommer världen aldrig beskåda igen. Vila i frid. Avicii was a great person, he was a angel even from the start:(( #Aviciifamily! I remember listening to his music for the first time, and I was thinking about what an inspiration he is to me. I want to be just like him! Avicii, the one who revolutionised music to this day was and still is an amazing person though he passed in his early 20s. We all miss you Tim, and we wish that you'd spend one more day with us. We all love your music and you. Be good, brother. Thanks for all the music. It's hard to realize you're gone. I wonder what can be done to help others still struggling. You are my idol,thank you for writing those inspiring song.You will always live in my heart.Hope you found the peace and rest in peace.I miss you,Tim. Vi alla saknar dig så mycket Tim <3 Snart har ett helt år gått och jag kan fortfarande inte ta in att du inte finns här bland oss :-( Vad jag önskar att jag kunde gå tillbaka i tiden och förhindra detta tragiska.. älskar dig!!! Miss you avicii please, come back. You have no idea of the authentic connection you established with your fans. I love you and hope you're resting well, Tim.